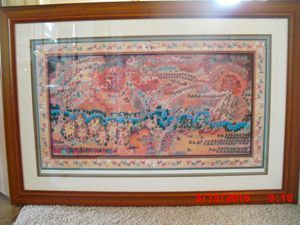 BEAUTIFUL, FRAMED & AUTOGRAPHED - French Dye on Silk! 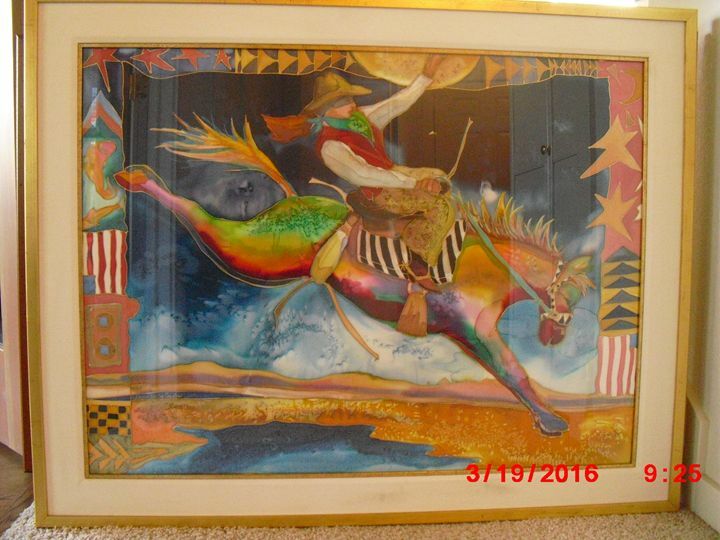 Art is a 30 x 40 and measures 37 x 47 in the frame- This Colorful Masterpiece of a Cowboy on a Bronc is in Prestige condition. Serious Buyers Only! No reasonable offer will be refused. 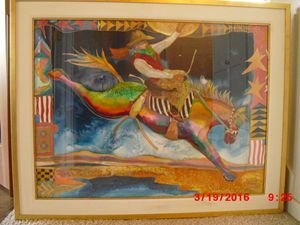 Nancy Dunlop Cawdrey s' other masterpieces in the same size are valued around $10,000.